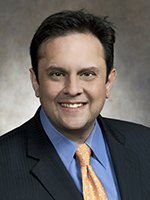 On Monday, April 16, Representative Joel Kleefisch (R – Oconomowoc) announced he will not seek re-election to the State Assembly in November. Originally elected in 2004, Kleefisch served seven terms in the State Assembly. An avid sportsman, Kleefisch chaired the Assembly Committee on Natural Resources and Sporting Heritage for a number of terms. His policy goals typically focused on natural resources and criminal justice. During his tenure, he authored criminal justice legislation on human trafficking and child abuse. Kleefisch is married to Lieutenant Governor Rebecca Kleefisch, who is up for re-election with Governor Scott Walker in November. The couple has two teenage daughters. Leah Vukmir (R) – Not seeing re-election to the 5th Senate District, running for U.S. Senate.